1920 x 1280 pixel album cover included with any song purchase. 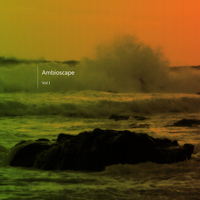 Ambioscape Vol I is an album of experimental ambient songs and soundscapes that attempts to provoke imagery and a sense of journey for the listener. All the songs on this album attempt to capture a certain theme or mood. The digibook has additional, in-depth information about each track.